J.R. Smith: The Key to the NBA Season? The biggest move that will happen before the March 15th trade deadline, barring any unforeseen major deal, will be the signing of J.R. Smith. Since his team has been mathematically eliminated from the playoffs, Smith will be an NBA free agent on February 16th. J.R. Smith has averaged 12.5 points per game over the course of his career as he has developed into a top 6th man in the league. Smith has been a member of the Denver Nuggets for the past few years, and when it looked like the NBA season would be cancelled Smith went over to China to play for the Zhejiang Golden Bulls. Chinese contracts have non-opt out clauses, so Smith was forced to play out the remainder of the season before he could return to the NBA. Smith’s highlights from China are extremely impressive. He put up some ridiculous numbers in a few games (although against some less than stellar opponents, but nonetheless impressive). Playing against former Celtics draft pick Lester Hudson, Smith came off the bench to score 60 points while shooting 14-18 from 3. Just a few days later Smith would score 41 points as his team sneaked out a 122-120 win. Analysis: The Knicks are in the lead mostly because they can offer him the most money. Instead of any of the other competing teams, the mid-level exception from the Knicks has been pro-rated since February 10th, not the start of the season. But the question that follows anyone who ever plays Carmelo Anthony and Amare Stoudemire is will there be enough shots? If they found a way to share the ball a starting lineup of Jeremy Lin, J.R. Smith, Carmelo Anthony, Amare Stoudemire, and Tyson Chandler would look as good as any other in the NBA. But there were enough problems for the Knicks finding shots for everyone before the emergence of Lin. It might not be in Smith’s or the Knicks best interest to agree on an offer here. While the Knicks are one of the top choices with huge potential, I think it would be too big of a risk for Smith to take. In my mind, this move makes the most sense. Smith can slide right in to the starting shooting guard role, which fits with his desire for a bigger role. Smith would be the perfect complement to space the floor for high-flyers Blake Griffin and Deandre Jordan. 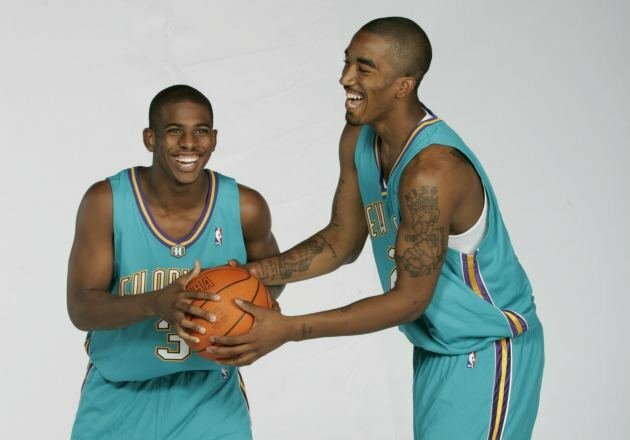 He has a tight relationship with Chris Paul from their time on the Hornets and has played with Chauncey Billups and Kenyon Martin (Nuggets). The Clippers have only one other true shooting guard right now. If J.R. came to the Clippers he would make them immediate title contenders. If the Clippers do strike out with Smith, they are presumed to use one of their trade exemptions to find a shooting guard to fill their problem. This is obviously a long shot, probably fantasy for me, but would be a great fit for the Celtics. They cannot offer him a starting role or a warm weather climate. But they can offer him a chance at a championship and a future starting role with the Celts young players such as Rondo, Jujuan Johnson, Avery Bradley, and Jeff Green. This would allow the Celtics to stay competitive past the years of the Big 3. He would provide a scoring punch off the bench, a unit which does not have a dynamic scorer. He would be able to ease the legs of Pierce and Allen so they could save themselves for the playoffs. With a bench of Avery Bradley, Smith, Pietrus, Johnson, and Wilcox, the Celtics bench all of a sudden becomes a strength and not a weakness. The best part about this move would be that Sasha Pavlovic would probably not see the court in important minutes ever again. The Pacers and the Timberwolves are also said to be interested, according to Marc Stein from ESPN. The Pacers have the most cap room in the NBA, which would allow them to sign him to an even bigger contract than the Knicks. The Timberwolves have been the surprise of the NBA this season with new players such as Ricky Rubio, Nikola Pekovic, and of course their All-Star Kevin Love. The Lakers are the final team that is interested in J.R. Smith. I do not consider themselves as much of a contender but they could prove me wrong. While they are trying to make moves, getting a player to back up Kobe Bryant who needs the ball in his hands most of the time does not make the most sense to me. They are also working out Gilbert Arenas, who has been described as “slimmed down” and “explosive” by Dave McMenamin. This entry was posted in Celtics and tagged boston sports blog, celtics, China, chris paul, clippers, Free agent signing, Gilbert Arenas, J.R. Smth, lakers, nba by leibo4. Bookmark the permalink.